A southern band with four members and a standard guitar-vocal-bass-drum formation may not seem like unusual, yet this band do things differently. Their ‘Soulwave’ sounds have more in common with R&B artists such as The Weeknd than they do Foo Fighters. The Canadian singer- and his beautifully crafted music has compelled a lot of British acts to try the same sort of sound. Although the Oxford boys have the look of a normal and everyday band, they go that step further to craft and hone their music; make something packed with little touches and layered. That is not to say the music is a laptop-processed drone that lacks soul and bite. Far from it, as their sounds have pricked the ears of critics and fans alike. Other bands who have attempted the same sort of Weeknd-inspired music have succumbed to the worst instincts of expectation and laziness by betraying their ideals. They have essentially packed their laptops and decadent motifs away for something lazy and guitar-driven. I know it is hard to maintain a very unique sound and make every release sound original and progressive. That is not to say you should just give in and get the amps out. 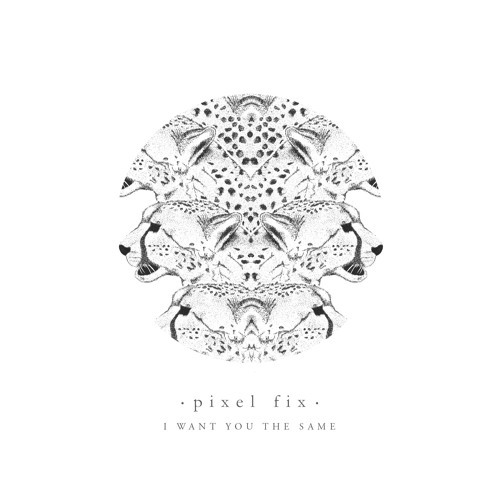 The scene has too many bands that can fill stadiums and rock-out but we need more artists such as Pixel Fix. I hope the Oxford band do not capitulate and try to fit into Indie moulds as their blissed-out and becalmed creations are among the most inventive and original on the current scene. The boys have been playing for a while now and have produced a number of E.P.s and songs. Not much is known of the band- they keep their social media pages bereft of personal insight and biography- but the music certainly gives plenty of detail and information. As 2015 starts to cool its engines and come to a close, we are all looking to the coming year and which bands to follow. Having become slightly bored and uninspired by mainstream bands, I am basing expectations around the best the underground can provide. Whilst Pixel Fix’s compositions and songbooks may sound transatlantic and foreign, their vocals are firmly based in the U.K. It is that cross-pollination and blend that has seen so many people flock to their shores. The boys are playing London in December- and have just done a session for Sofar Sounds- in support of their new track I Want You the Same. Following from their triumphant and successful E.P.s the boys are ensuring they are going to be one of 2016’s biggest names to watch. To get a complete picture of the band, it is worth looking back and seeing how far they have really come. Rosa was released in 2013 and begins with atmospheric and intriguing electronics. A bubbling and murky beauty mixes with something strange and haunted. Growing in intensity, the processed beats clap and vibrate. Whilst the vocals may be hard to decipher at times- there is an issue with intelligibility- the composition is vibrant and fascinating throughout. Trading R&B seductiveness with something edgy and hard-hitting, the song changes skin and course to create something wonderfully rich and exciting. Building and exploding towards the latter stages, it manages to mix Indie/Alternative anthemics with more detailed and intelligent electronic sounds. The E.P. Fall was unveiled last year and its title track kicks off proceedings. Another muddy and swooning introduction, it sees wordless and distorted vocals snatches jabber and echo with peculiarity. Our hero is falling too far and crashing. The chorus has a Pop/Indie sensibility that fits perfectly alongside the colourful and exhilarating compositional beats and details. With a little touch of The 1975 in the vocal sound, it is a track that will appeal to the underground and mainstream alike. Boasting perhaps the mist addictive and memorable chorus of their careers, the song gets better and more fascinating with every listen. Awake is one of Fall’s sexiest and most dizzying numbers. Another full and detailed introduction puts you in a daze. Our lead looks at disappointment and lies in the narrative. The vocals are more decipherable and clear and the production allows the lyrics to come through more clearly. One of the band’s most vibrant and vivacious compositions, there are so many details and threads in the song, it is another track that benefits from repeated listens. That inimitable and British vocal gives the song a homegrown feel; the electronics and composition puts your mind towards the U.S. and Canada. Running Thin was an E.P. released last year and signaled a drive towards harder beats and more Indie-driven sensibilities. Lungs is a song that boasts big and bold beats and chorus sounds. The song unites the bands previous work with something more mainstream. That is not to say the music is watered-down and temporized yet the boys are embracing more band-driven sounds here. Less reliant on electronic soundscapes and laptop processing, we have a more organic and open song. Allowing plenty of room to breathe and maneuver; it is a track that is filled with energy and momentum. Never relenting its sense of drive and passion, it showed the boys develop and vary their sound a little. That issue of decipherability is back and something the band need to work on. On the E.P. the production means the composition is too high up the mix. The vocal is getting buried and making it hard to pick out the lyrics and understand them clearly. Not a modern-day concern for them, it means Running Thin suffered a few technical and production issues. Overflow is less Pop/indie-driven than Running Thin and saw them fully embrace their ‘classic’ and traditional blend of electronics and hypnotic beats. The aching and rushing introduction leads to a vocal that is packed with intention and heart. The mantra of “I’m trying” keeps coming back in and it seems our man is laying his thoughts on the line. The song is built on few on few original lines; instead it lays repeats lines and thoughts to reinforce the song’s urgency and anxieties. The composition is another detailed and multifarious creation that creates a wonderfully atmospheric and exciting. It is clear the band have developed and evolved from their first moments. The sounds have varied and become more innovating as time elapses. Essentially the boys have not had much need to alter their core sound too much as it was pretty fully-formed from the offset. A band concerned with texture and sonic innovation, the songs have grown in confidence and nuance as they progress. Developing and growing as songwriters, the current offerings rank among their most inspired. Few bands offer such detailed and colourful compositions that tie hard emotions, serene beauty and strange diversions into the same song. Perhaps the biggest- and in fact only- issue for the boys is making sure the vocals are clearer and we can grasp the lyrics being sung. There is a tendency to make the composition stand out above vocal and that is sacrificing clarity to a degree. Whilst the odd lyric can be understood, a lot of the lines and thoughts are being buried and suffocated. Maybe a production or performance issue but something that could be tweaked and considered on future releases. It is a minor detraction as the boys have so many positives in their favour. Growing and improving with every song and E.P. they are one of a few bands that are not only consistent but they become bolder and daring with each new release. Having familiarised with the band’s past music, it was exciting coming across I Want You the Same. Having garnered a lot of praise and paen so far, it is clearly a song that has resonated with people. Knowing the quartet’s innovation and sense of ambition would be unwavering, I went into the song with high expectations and hopes. The opening moments put me in mind of their Fall-era work. The opening seconds of the introducing see fizzing and hissing electronics come into play. Bubbling and delicate plinking sounds mix with that static fizz to offer something quite evocative and instant. Having Google-d the lyrics to the song I at least would be able to tap into their meanings without having to strain too much and miss the odd word here and there. That hard and varied composition mixes animalistic moments and tender beauty. Spiraling and racing, the composition is so evocative and fascinating, you have to repeat it to get a full idea of its scale and meaning. So much detail and intelligence means you are hooked from the offset. I am pleased to say the lyrics and vocal sound is a lot clearer and intelligible. The production means the vocal is not buried into the mix and is allowed to come up-front and pervade. A smart and needed move, you get a much better and clear listening experience from the get-go. Ridding a pulsing and heavy beat, our lead presents lyrics that are cryptic and oblique. Words such as “No torturing my brain/Over ends of these things/You said before” have a certain quirkiness and unexpectedness to them. It is clear there is a relationship being assessed and maybe a strain and crack has formed. Maybe an old argument and conflict has resurfaced and causing the duo to squabble and argue. Whilst your mind is trying to pick apart the lyrics and drill to their core and meaning, you are intoxicated and drawn by that fizzes and rushing composition. Few bands take the time to ensure every aspect of the song is as good as possible. Too many acts are concerned with instantaneousness and power and negate the importance of intelligence and textural depth. Pixel Fix have always been masters of the fully-rounded song and there is no difference here. Their most fascinating and instant song to date, it forces the listener to think about the subject matter and dive into their magic and majestic composition. As the lyrics develop, you get the following insight: “Now I can't speak, I, I can't be/You see, you see yourself in me”. That internal struggle and torture is evident and you start to consider possibility there is relationship struggle. Maybe our hero and his girl are still involved yet their contrasting intentions and hopes are causing conflict. The heroine has her doubts and reservations perhaps wanting different things from the bond. Our hero is struggling with his emotions and wants to step away and find some solace perhaps. I am heading straight into relationship territory because the lyrics seem to be very heartfelt and emotional. There is little room for ambiguity and misguided thoughts as the lines really strike a chord. Ensuring the phrasing and original choice of words spikes the imagination it is a song that provokes you to think and imagine. A lot of acts go for cliché sentiments and wording; that is not the case with Pixel Fix who have a novel and personal approach to common and everyday concerns. Ensuring the composition has some lightness and breeze, the boys do not put too many dark notes and heavy beats into the sound. There is an open heart and romantic appeal to the electronics, whilst packing plenty of power and force, do not become too forceful and foreboding. When our man sings “And you change our soul/I vision the weather/I want you and I need you the same as me” there is a mixture of humour, quirkiness and intelligence to the sentiments. There is that need for equilibrium and compromise in the relationship. It is clear the two sweethearts have different agendas and are moulding the bond for their own means. Perhaps the heroine is trying to change things for the worse or has some false and high expectations. Maybe our hero is expecting too much and not willing to compromise in this relationship. Whatever the quagmire, it seems like a compromise is needed and perhaps unobtainable. Drawing in the likes of The Weeknd and The 1975 into a vibrant and heady blend of electronics and beats, it is unsurprising the likes of Radio One have picked it up. It does not stray too far into mainstream Pop territory but at the same time it is more universal and all-inclusive than some of their earliest work. Whilst their initial songs and moments were perhaps a little darker and narrow, they expand their sound on I Want You the Same without losing their appeal and true identity. A shrewd and welcomed move from the band who have crafted their best song to date. The song title is a central mantra that is reintroduced with a passion and urgency. That sense of separation and disconnectedness is evident and you wonder whether the lovers will ever reconcile and survive. If we consider the next verse- “Or does it have me drown/When it's all these things that you are told/And don't make you turn lighter around/It's always please, please, please/Don't come around for me”- and it another verse filled with obliqueness and some strange wording. Quite a fascinating and unique bent, it gives the listener a chance to decide their own interpretation and course of events. Perhaps our front-man knows the real truth, and it is going to be near-impossible for the listener to get a true sense of meaning and understanding. We know there is an imbalance and a dissatisfaction in the relationship that is causing friction. It seems the heroine is concerned with herself and not really looking at the complete picture and the needs of our lead. Ensuring the foreground does not become too intense and heavy, the composition it at its most sparse and light at this stage. The band is always concerned with dynamics and emotional resonance and make sure the composition matches the lyrics/vocal. In that way, the vocal drives the composition and there is a real unity and supportiveness from each band member. Towards the final stages the boys repeat the chorus and central themes, adding to that feeling of dislocation and drift. You wonder whether the relationship will ever get onto an even keel and resolve itself but are dubious to say the least. A lot of bonds and relations are defined by some internal struggle and occasional indifference; it seems this particular pairing needs something quite big to save it from extinction. When that chorus comes back to roost, the composition steps back up and expands once more. Those teasing and punchy beats weave inside raindrop electronics and fizzing rushes. Distorted vocals and spectral moans fuse with R&B sensuality to elicit something quite special. As the song comes to its close, the urgency and dedication in the vocal performance is to be commended. Perhaps the band’s most meaningful and impressive number, it shows just how inventive and accomplished they are. I am glad I Want You the Same does not suffer the production/clarity issues of earlier works which means you get a much fuller appreciation of the music. Marcus’ vocal is filled with emotion and intention from start to finish and his phrasing and projection is a lot clearer and more decipherable than the earlier band works. Blending with Clem’s guitar the duo creates a brilliant guitar sound that brings in flavours of Indie, Alternative and R&B. The entire band is at their best hear and with Rob’s percussion work sturdy and emphatic; Jarred’s bass guiding and creating melody and rhythm, you have a band that are tight and filled with quality. By blending electronic sounds and sound snatches with something melodic, mainstream and ‘traditional’ you get a song that will appeal to a wide range of people. The band understands the importance of commercial appeal but do not sacrifice their sound and originality by pandering to that. Instead they provide music that has heart and honesty to it but is edgy and Americanised too. They appeal to lovers of R&B and the credible music-lover who appreciates composition with balls, depth and intelligence. By making sure warmth and elliptical moments punctuate when needed you have a song that cannot fail. The lyrics have obliqueness but there is a universal sentiment to the themes and subjects explored. With its terrific production values and nuance you have the best track Pixel Fix have released to date. It means the future is very bright for them and it would be great to see where they head next. HEAR a band unlike any other.